The droplet generator pack had been designed to fit most common droplet generation needs of researchers. Many options are available and you can fully customize and upgrade the pack. Feel free to contact us. 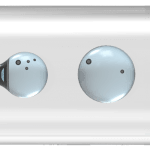 Elveflow® provides a microfluidic droplet generation pack to help any research lab to easily generate droplets into a microfluidic chip. This fully integrated solution includes all the elements necessary to generate droplets out of the box. 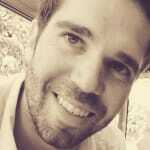 Change in one click droplet size, production rate and content. Using the world’s highest performance microfluidic flow control system, this pack provides you with a state of the art droplet generator. 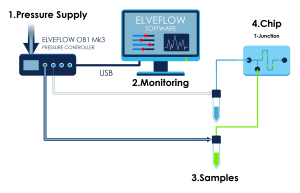 While giving you the opportunity to easily generate droplets, Elveflow droplet generator grants you access to all the parameters and options allowing you to match your requirements. 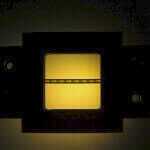 Slow motion of fast droplet generator using Flow Focusing chip. Slow motion of medium switch through sinus function. Uniform drop generation using T-junction chip. This droplet generator pack is based on our unique piezoelectric flow control technology which allows the user to operate the world’s fastest flow switch, with the smallest variation in flow stability that you can reach in microfluidics. 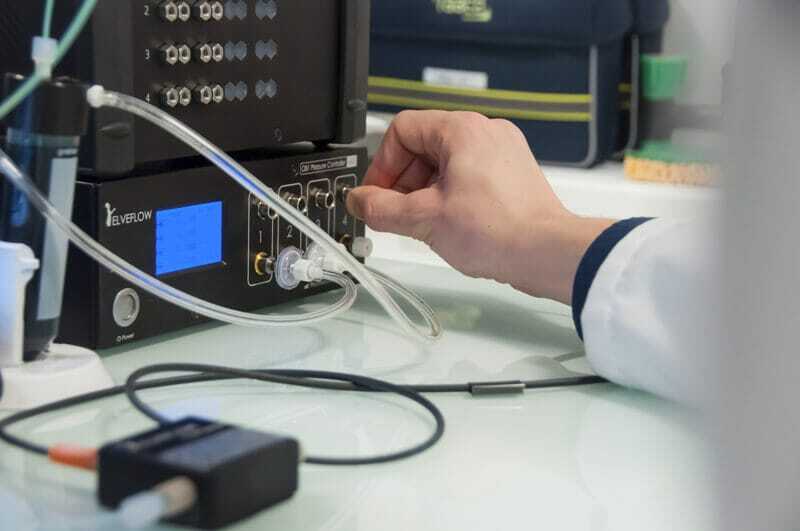 The equipment used in this pack was chosen by main innovating actors in the field of droplets, such as Sphere Fluidics, deMello group, Bibette’s lab or Dr Say Hwa Tan group . Fill your tanks with the dispersed and continuous phase. Plug tanks, chip and flow controller together. 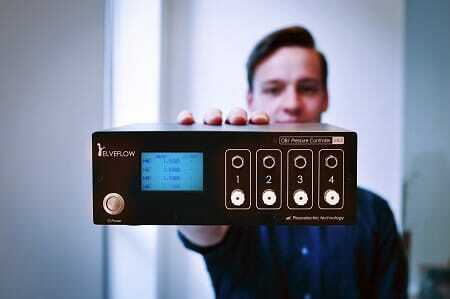 Launch Elveflow software and set your parameters. With just one click, tubing will be automatically filled and your chip will start generating droplets. How does the droplet generator work ? 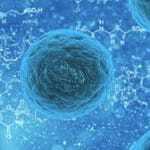 Continuous and dispersed phases are contained in the microfluidic tanks. 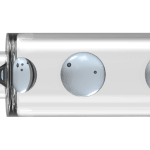 The pressure controller pressurize microfluidic tanks and generate a pulseless flow of continuous and dispersed phases from tanks to microchip. 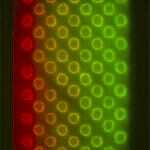 Droplets are generated in the microchip. 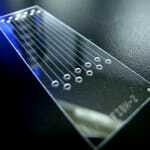 Their size, speed and composition will depend on the flow rate of the liquid coming from the microfluidic tank. 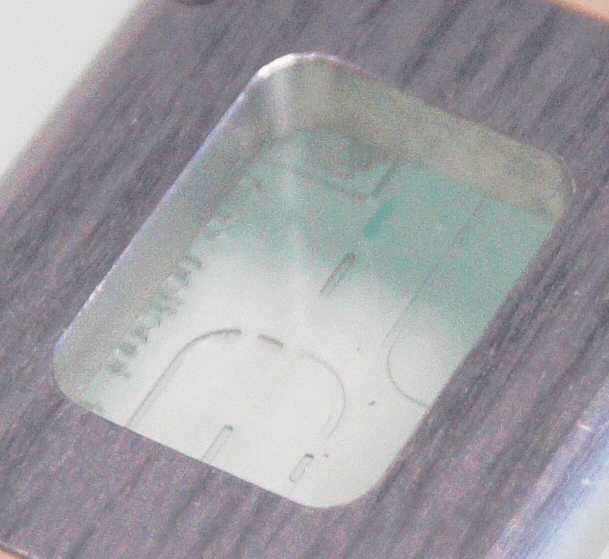 Changing parameters in the software will almost instantaneously change the pressure of the tank, and then the flow rate of the liquid entering the chip. 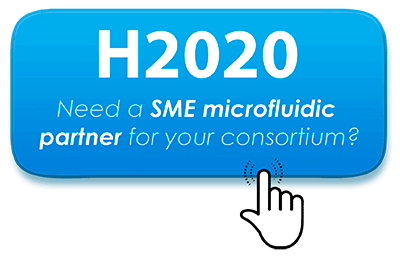 Need advice for your microfluidic droplets ? Thanks to our piezoelectric pressure regulators, change the content of your droplets in 100ms. 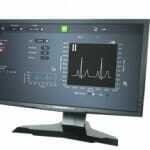 Screen hundreds of experimental conditions in minutes. Modular pack, able to generate a flow rate from 0.1 µL/min to 5 mL/min, enabling droplet frequency up to 10 kHz. 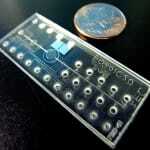 Modular pack, able to generate a droplets in the µm diameter to mm diamter. 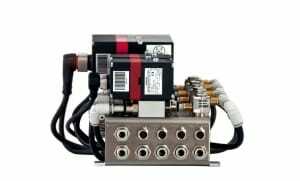 Our microfluidic pressure regulator is the only one on the market compatible with a large tank volume up to several liters, while staying responsive. Use our bottle tank to perform long term experiments, even at a high flow rate. Using our smart software interface, automate your droplet generation over days through the scheduler. 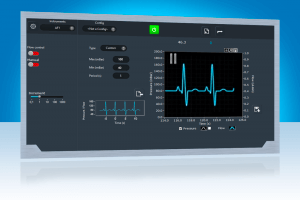 You have access to all the parameters to customize your experiment. 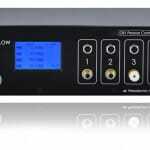 For your best convenience, you can even use your own chips, or droplets chips provided by Elveflow. You can also choose between four sizes of tanks: 1,5 mL Eppendorf, 15 & 50 mL Falcon tubes, or bottles. 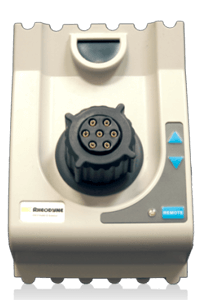 Suited for drug screening, drug analysis, foams or emulsions production. The high throughput allow to produce important volume in a short period of time. The short settling time lower sample consumption and lost of expensive reagents. Accurately create and manage pulseless flows. 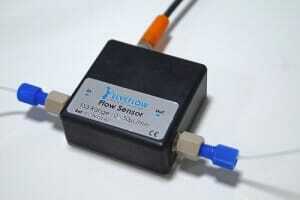 Manage the flow rate while using pulseless flow. 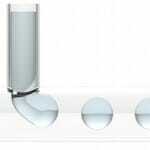 Load your different phases to produce droplets. All the accessories you need to connect the items. Silicon, mineral, fluorinated? Main oils for droplets. 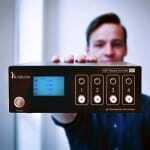 Manage the size, frequency and speed of your droplets. The droplet generator had been designed to fit the researchers’ most common needs in droplet generation. 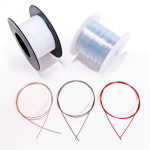 Feel free to contact us to discuss your specific needs ; if necessary we will adapt the pack and chips to your particular research applications. For your most common additional needs, we already offer the shelf option. Adding Elveflow MUX distributors to this pack allows you to change the composition of your droplets between ten different samples during the same experiment. 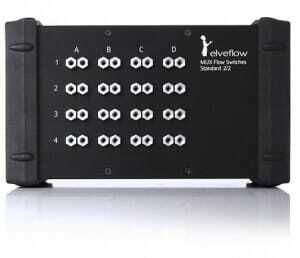 Adding the Elveflow valve matrix allows you to start and stop your droplets in 100 ms. The use of the valve removes backflow and residual flow, and allows you to stop a fast flow. Do you need a full custom OEM droplet generator for your commercial system ? 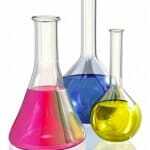 We have a team with strong knowledge in droplet generation and industrialization. Feel free to contact us to discuss your specific needs. 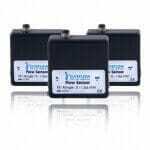 When adding our fluorescence optoreader to our pack, you can follow in real time the fluorescence signal of your droplets in your software. 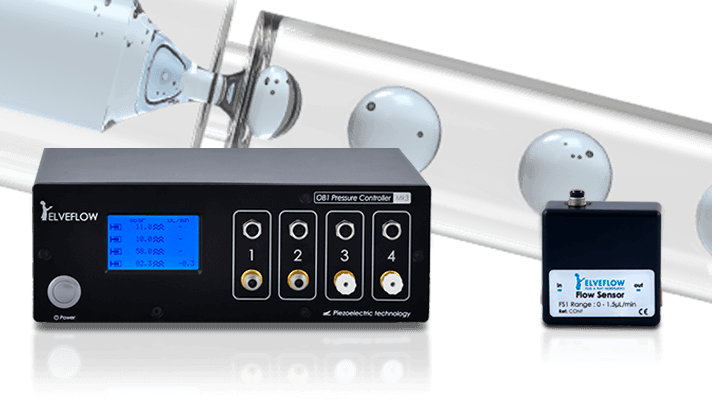 This system excites and collects the fluorescence signals of your droplets, then detects and quantifies any event of interest during your experiment.